Details on how to win a copy of the first book in this series at the end of the review & links to purchase this new one. In Chloe Neill’s version of New Orleans, worse things than Hurricane Katrina have happened. A Veil between the city and a dimension of monsters and angels was ripped, and a war raged as magical invaders fought across the South. Pushed back, those creatures left behind were herded into a walled area called Devil’s Isle. Penned in with the paranormals, “Sensitives,” who acquired powers through exposure, were hunted by the government before their magic caused madness. 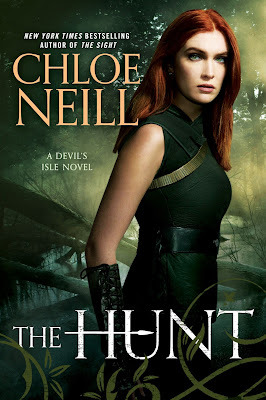 In The Hunt, third in the series, red-haired Claire Connolly (have you noticed the statistically-unlikely preponderance of redheads on paranormal book covers?) is on the run because she used her psychokinetic powers to thwart a new invasion. Liam Quinn, the bounty hunter who helped Claire learn to control and hide her powers, is missing, after receiving a blast of magic that made his eyes turn golden. Someone murdered a police detective with Liam’s weapon, so Claire searches the bayous to find and protect him, and to see if he still loves her. She deals with not-so-noble bounty hunters, the dangers of the swamps, discoveries about her father…and the mother she lost years ago. 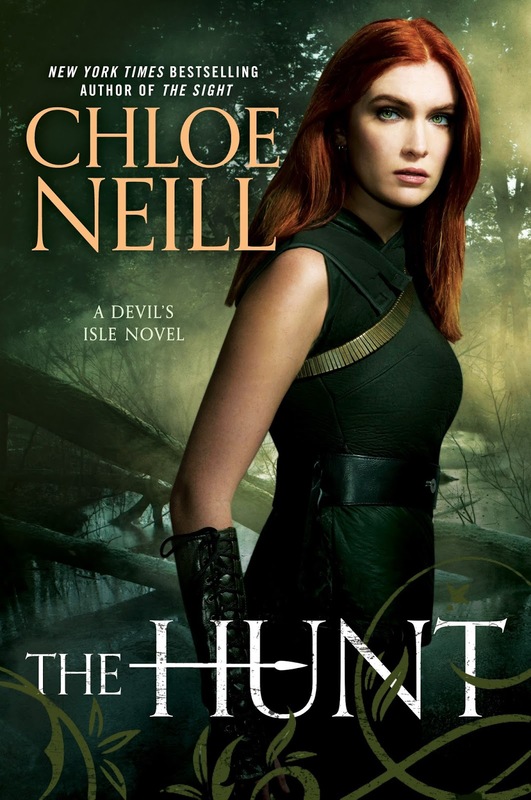 Neill is a master of urban fantasy, creator of the recently-concluded Chicagoland Vampire series. But the Devil’s Isle crowd aren’t as relentless with the wisecracks, and are more bothered by being on the para- side of normal. Her world-building is meticulous…and it’s a precarious world. Programs to give autonomy to selected parolees expose them to unimagined perils. That repaired Veil might split from either side. Good guys might not be so good, and whose side do you want to be on your side? The characters are rich with nuance and variety. A computer-building creature might live on spoiled canned goods. A blind Southern matriarch might see the unseen. An angel might be good at circumventing the rules. The key to Neill’s appeal is her ability to sidestep conventions, yet make it logical and acceptable. The backstories don’t require massive infodumps, so you could jump into the series with “The Hunt.” But why deny yourself the joys of Neill’s genius? Start with The Veil and The Sight. To enter to win a copy of the first book in this series, The Viel, simply email KRL at krlcontests@gmail[dot]com by replacing the [dot] with a period, and with the subject line “veil,” or comment on this article. A winner will be chosen October 21, 2017. U.S. residents only. 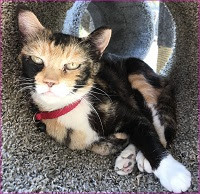 If entering via email please included your mailing address. If entering via comment please be sure to include your email address. Love reading about New Orleans. It's a really haunted city, book sounds interesting.